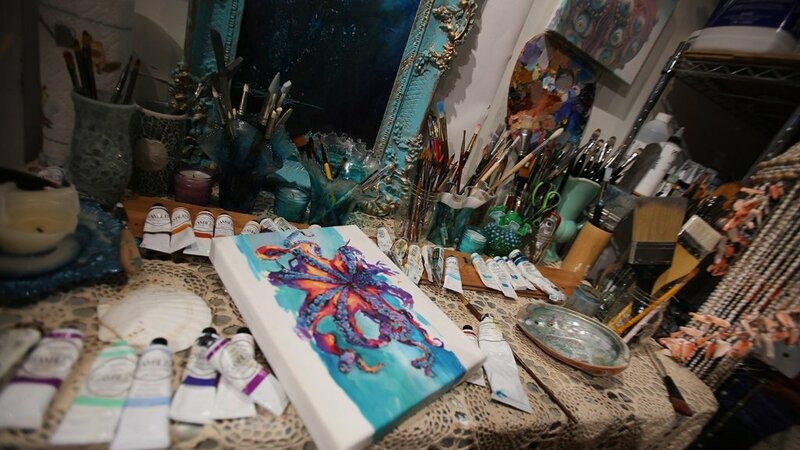 I was interested in creating a blooming effect with the Octopus, showing how beautiful I see this creature. 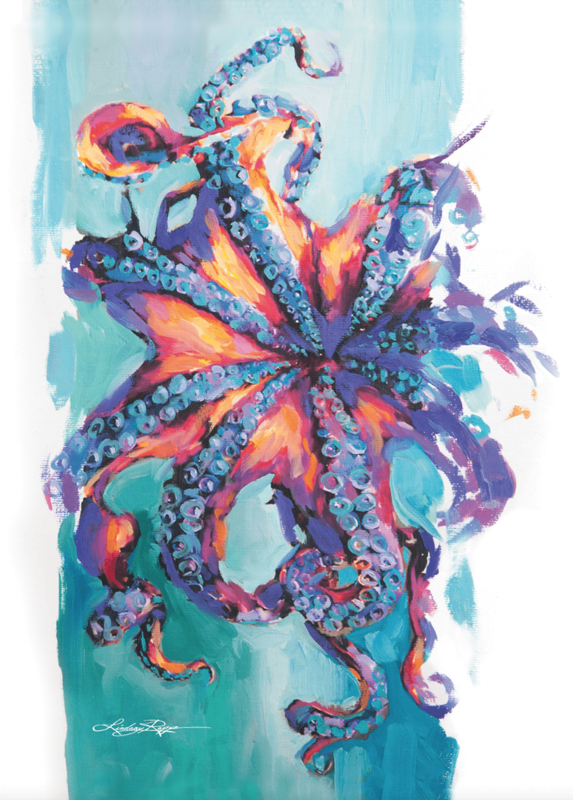 I love the unique shapes tentacles make and tried highlighting their movement with bright colors. 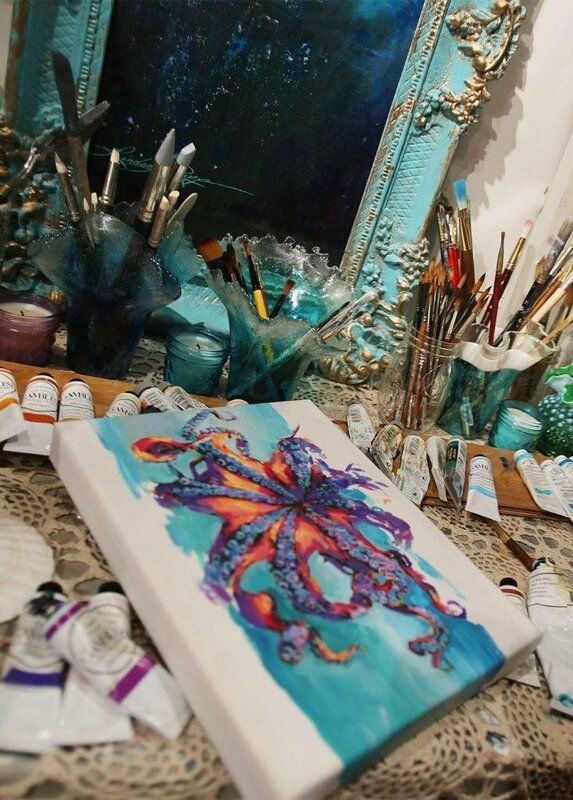 Through the deconstruction of brush strokes on the canvas I tried to make it look as if the octopus is coming into life.